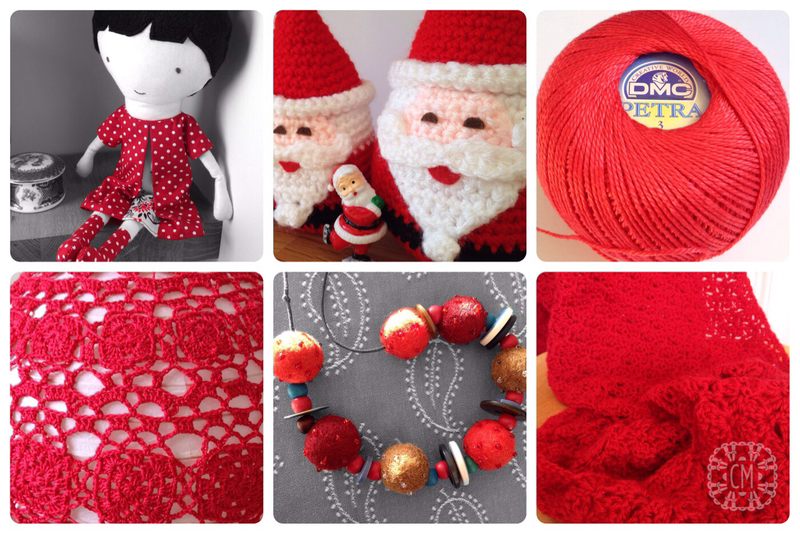 Cara Medus – Crochet designer, technical editor and trainer. Creative encourager. Woop woop! My first independently published pattern has landed! I’ve been building up to this for what seems like ages, but finally, I have published one of my own patterns on Ravelry. This sassy little number is made from Cascade Fixation which is a stretchy cotton – genius if you need a garment to be close fitting without sagging. It’s a fairly easy make with a couple of specialised stitches, but instructions, and yes, even an extended tr3tog walkthrough are included. It’s available in two lengths (the one in the image is the shorter length), so if you’re not quite so sure about putting your pins on display, you’ve got the choice. I have worn this loads since I made it last year, and it’s really versatile. Writing patterns is my thing, and this pattern is an extravangaza. There are loads of charts, and I’ve spent a long time trying to get the layout right, and trying to make it as accessible as possible. If your heart is sinking right now on the chart front, don’t worry, I have written out full row-by-row instructions too. Download a preview of the first two pattern pages, which include schematics, a full measurements chart, materials, yarn details and quantities. 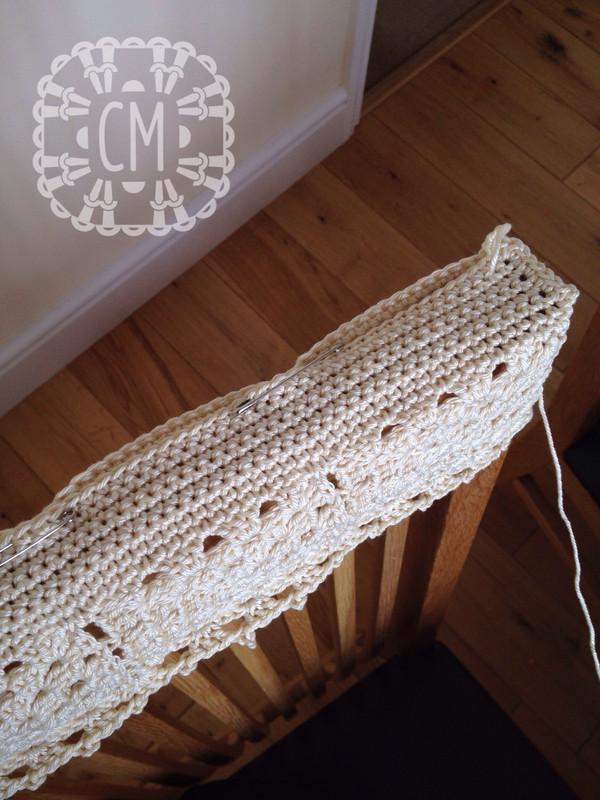 The join of a round isn’t always the neatest part of a crochet motif is it? There’s the turning ch, and the join at the end of the round, which can make it a bit irregular and lumpy. 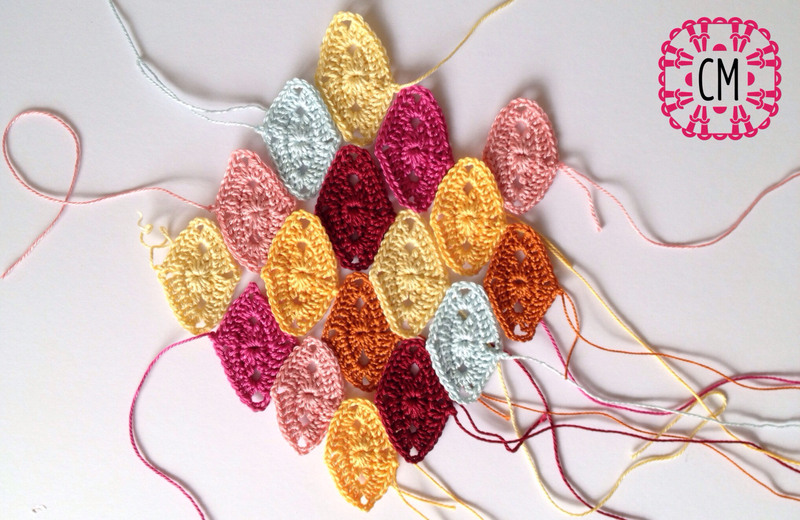 Here’s one way of starting a round with a new colour which is great for motifs. 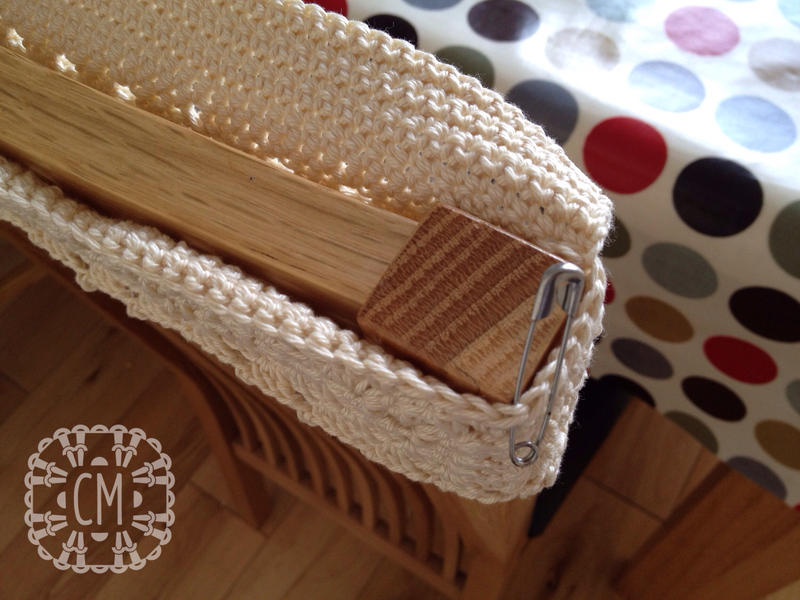 Instead of a slip knot, the yarn is twisted around the hook, so that you can make use of a ‘standing start’. 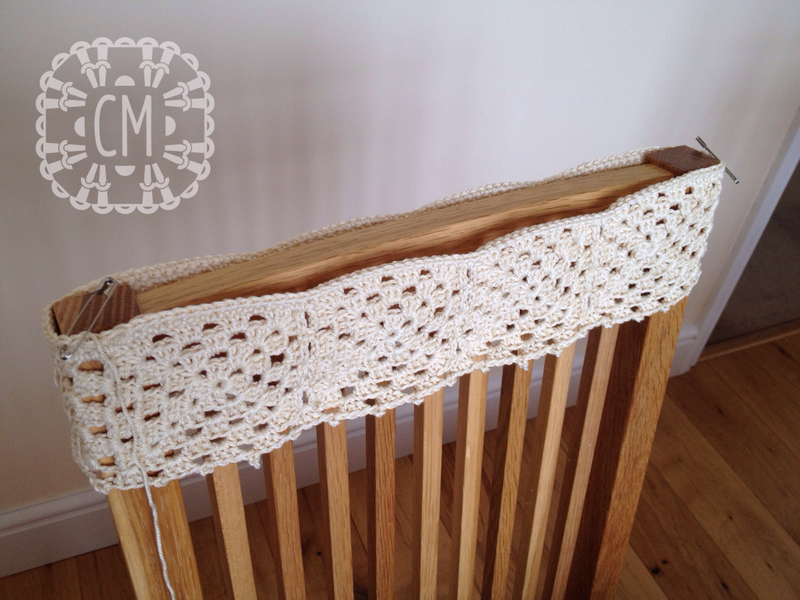 A standing start can be used for all stitches that are taller than a double crochet (US single crochet). Instead of joining a new colour in the top of the stitches of the previous round and working a turning chain, you can just start with a regular stitch worked into the stitch or space where it is needed. This will only work where you’re joining in a new colour, or starting with a new piece of yarn and the first stitch of the round is a taller stitch. It does away with the turning chain, and with the slip knot at the start of the round; that’s two fewer lumpy bits! My Mum tells me that when I was a baby I used to stare at the patterns on ladies’ dresses (well, it was the 70’s, so they were probably way out there, and either orange or brown!) So when I discovered the isometric ipad app just before Christmas, I was in my element. 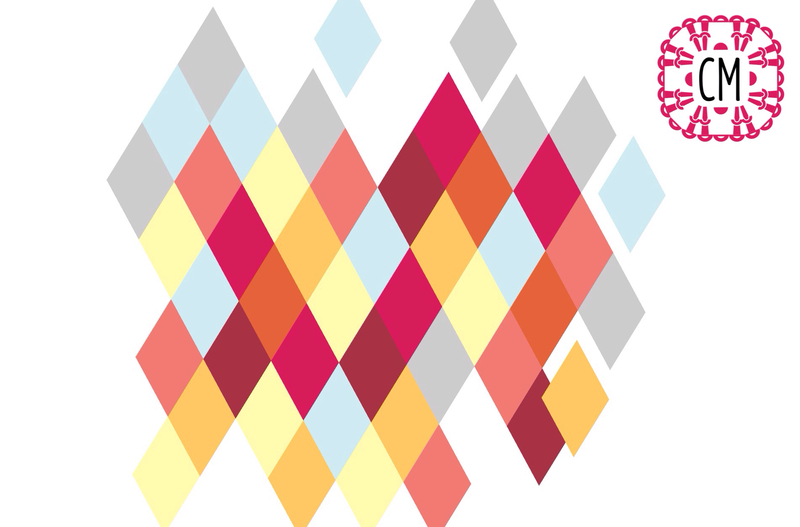 Isometric paper is that grid paper that’s ruled into equilateral triangles. All the lines are at 60 degrees from one another (I think…), and you can draw pictures on it that look like they are in perspective. The isometric app lets you draw with diamond shapes that snap to one another to align perfectly, and they automatically change colour depending on the orientation of the diamond. The image above is made with diamonds in one orientation only, but you can see some other examples of the 3D effects possible on their ‘Made with Isometric’ Tumblr feed. I chose the colours from a selection I already had in my stash, although I have ordered a couple of greys that I am hoping to add to the mix when they arrive. I couldn’t resist the opportunity to add to my colour palette of DMC Petra – I love working with this yarn for the colours available! Initially I thought I would arrange them like the ‘3D cube effect’ that I had seen on the Isometric app, but when I laid them out, I preferred them all aligned in one direction, as in the image below. I’m not sure what it’s going to be yet, although probably an accessory of some kind, because I know I will get bored with making too many motifs! I’ll let you know how it goes…. Gosh, it’s been a while! 🙂 Won’t bore you with the details, but despite my best intentions it has been very difficult to find any time for blogging of late. Without further ado, here is a little project that I completed a while ago, which is nice and easy, with practical results. I made these for my dining room chairs after repairing the wall in the hope that it might save me having to do it again too soon. It has. 🙂 The photo above was taken recently, and they have had a little wear, and perhaps look a bit saggy round the edges. 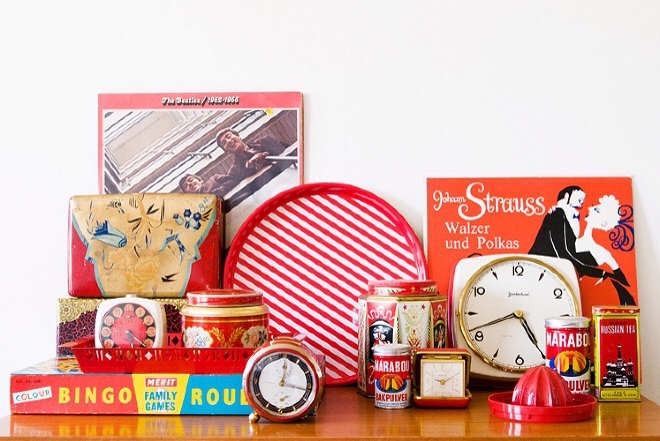 So try and ignore that and look at the crisp clean ones in the images below, ok? Squares As you will have no doubt realised, the good old granny square is the basis for this design. It doesn’t matter which method you use. 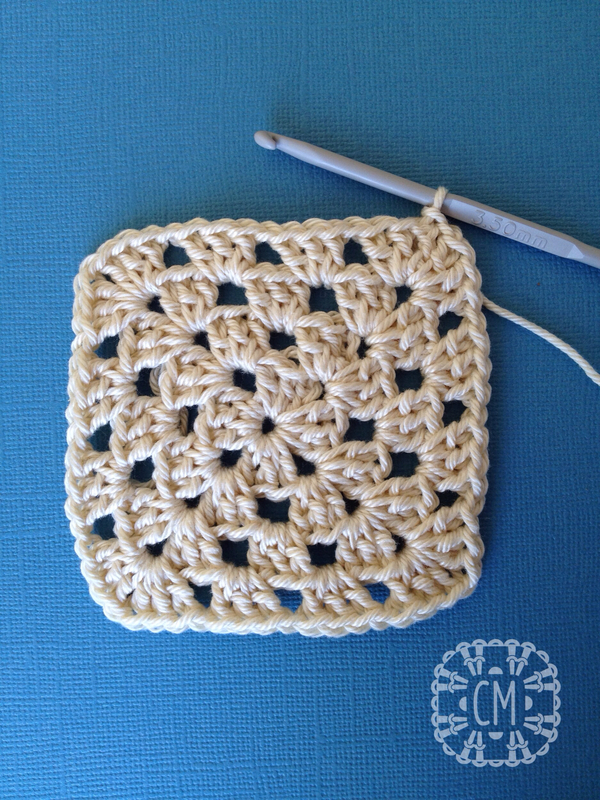 I haven’t included a granny square pattern because most people won’t need one and they’re readily available on the internet. Cotton would be better than wool for this because it needs to be hardwearing and less stretchy. I used Wendy Luxury Supreme Cotton DK and a 3.5mm hook. My first complete granny square is below. You can vary the size according to the depth that you want the chair back to be, but it probably needs to be at least 8cm square in order to have enough staying power when you fit it to the back of the chair. Once you’ve made one, you will be able to judge how many squares you will need to fit across the back of the chair. I made four to fit across one side of the chair, and slip stitched each square to the next as I worked, slip stitching into each of the spaces along the side of the square. 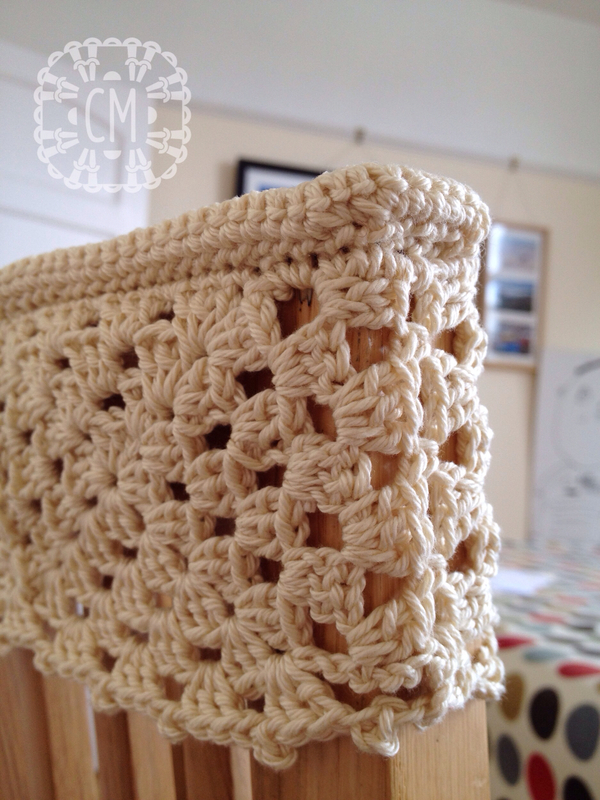 Ideally your squares should fit across the front of the chair and overlap the sides slightly, so that you can make the same number of squares for the back and join the two together to fit all the way round the chair top. 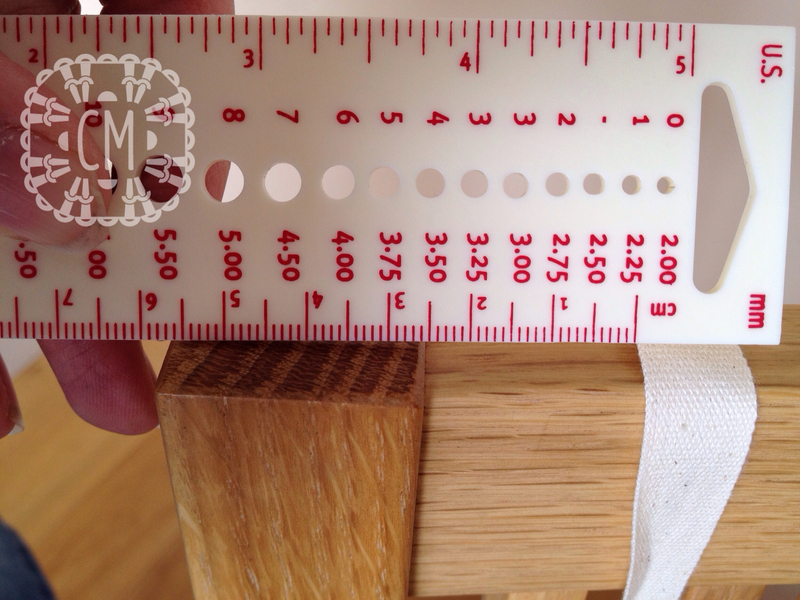 You want it to be quite a snug fit, so make sure that it is pulled taut when you are measuring. My four squares weren’t quite long enough, so once I had joined them I worked another couple of rows of granny square trebles (US double crochet) on each end so that the strip went half way round the chair top. 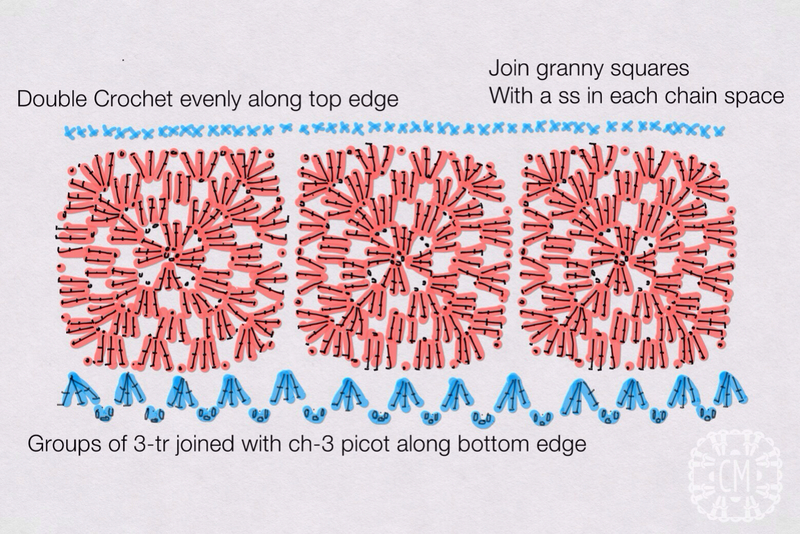 You can then make an identical piece for the back of the chair and join it to the first to form a tube that will fit around the chair: Edging When the squares are joined, work an edging along the bottom with a row of granny trebles and ch-3 picots in between as per the illustration below. Double crochet (US single crochet) evenly around the top edge, which will form the base for the piece that fits over the top of the chair. Top Flap At this point, make sure the tube is placed symmetrically on the chair and mark the two double crochet stitches which fall at the two front corners of the chair. You can see in the third image above that I’ve marked these stitches with safety pins. These stitches will be the beginning and end stitches of the rows forming a flap to fit over the top of the chair. Rejoin your yarn in the marked stitch on the right hand side (left if you’re left-handed), and work a row of double crochet until you have worked in the second marked stitch and turn. 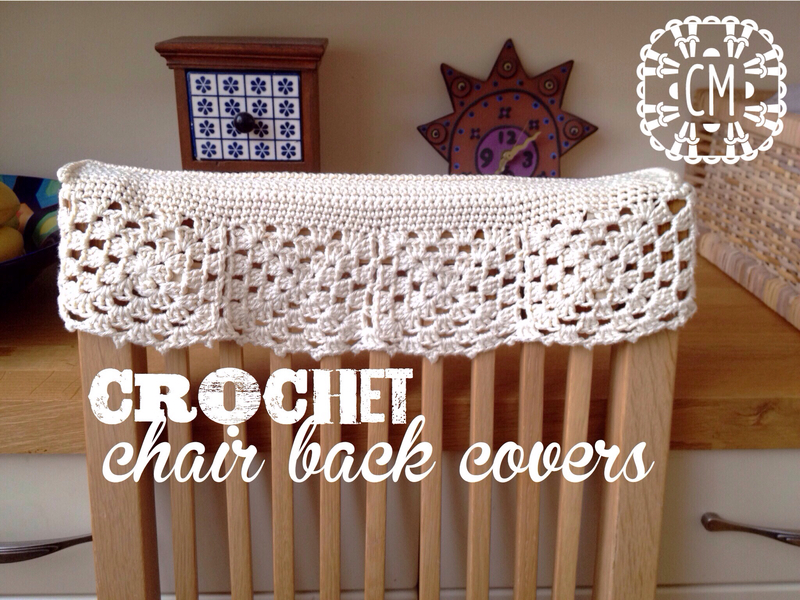 Continue working rows of double crochet until the flap created meets the top edge of the squares running along the back of the chair. It may help to mark the two corner stitches at the back, in the same way as before, to help you see how long the flap needs to extend, and to ensure that the ‘back’ is the same width as the ‘front’. You can see one corner marked with a safety pin in the image below. When the flap is the right size, fasten off and pin the edge of the flap to meet the back edge of the squares where it will be joined. 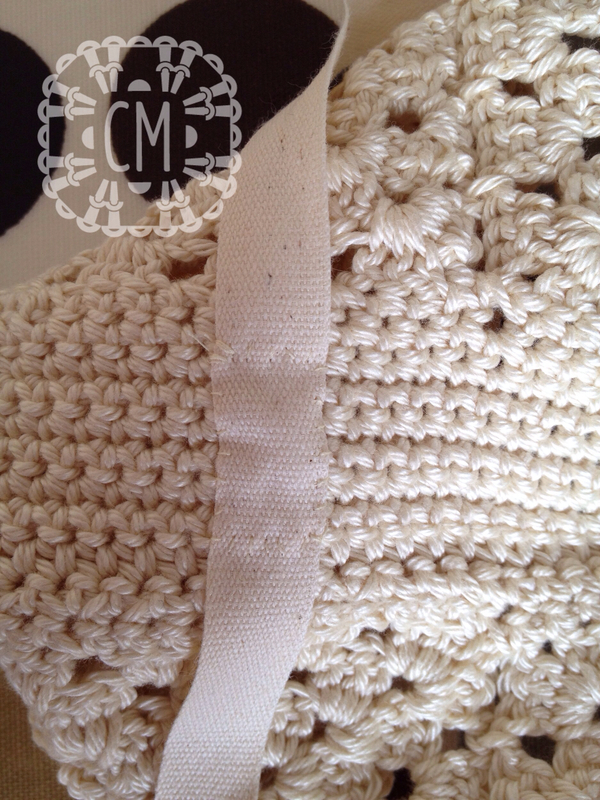 Rejoin the yarn at the front corner and work a double crochet seam through both layers around the two short edges and the long back edge. 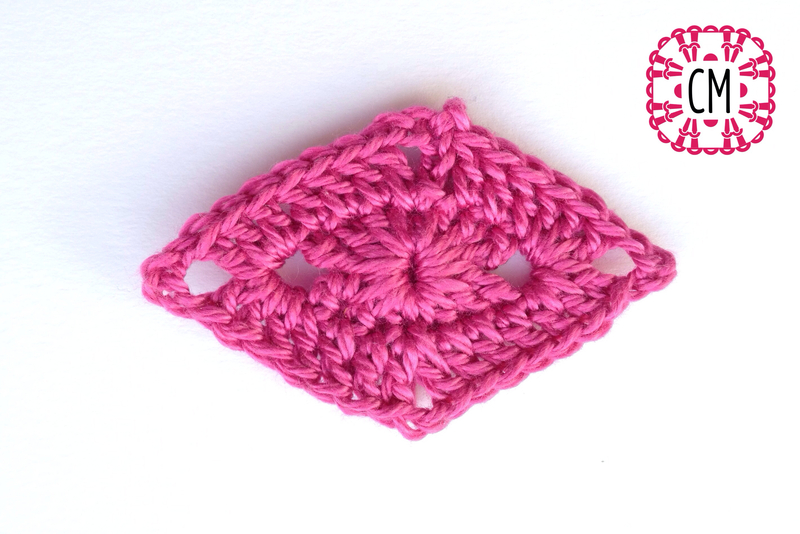 Remember to increase at the corners – I worked 2dc stitches in 2 stitches at each of the back corners. Don’t fasten off when you’ve finished this seam. 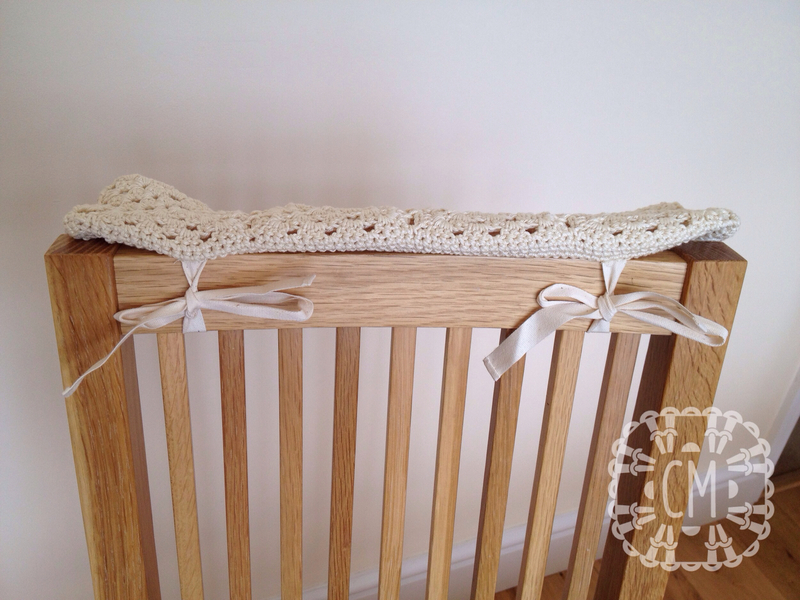 I wanted to create a cushioned ridge along the back edge of the chair to give some extra protection to the back corners. To do this, I carried on crocheting another two rows worked onto the double crochet seam, and then rolled this extra piece in and sewed the last row to the base of the double crochet seam. Ties I used two pieces of cotton tape to tie the cover to the chair, but in hindsight I think it might be better with an extra one in the middle as well to keep the cover from sagging. Each piece of tape measured approx 40cm with a little extra allowed for finishing the raw ends. This was long enough to tie around the bar running along the top of the chair frame, but not so long that the tapes hung down beneath the bottom of the cover. You may need to adjust the length according to your own chair. Measure in from each side of the chair to see where these will be placed, making them far enough in from the edge to avoid the frame of the chair back. Mark the same distance in from each end of the cover. Find the midpoint of each piece of tape and sew the tapes to the cover on the inside, so there is an equal amount front and back to tie. Tie in position and the chair covers are ready.